Happy Monday! Can you believe that this is our last full week of February? I'm excited to be back for another Month of Love giveaway, and because it's a leap year, there will actually be a final giveaway next Monday, so even more fun for y'all! For today, I have an awesome company you've probably heard of before across the blogosphere, CaseApp! A custom electronics case and skin shop, they have something for all of your devices. As a Samsung Galaxy user, I was so excited to find a huge array of designs for my usually hard-to-shop-for smart phone. What's really cool is that if you can't find something you like from their pre-made prints and patterns (which I highly doubt!) or if you'd like something even more personal, you can use our own photo to make a completely personalized custom iPhone case or custom laptop skin. CaseApp has been kind enough to offer a $40 gift code to their online shop for one lucky reader. Enter with the Rafflecopter widget at the bottom of this post! 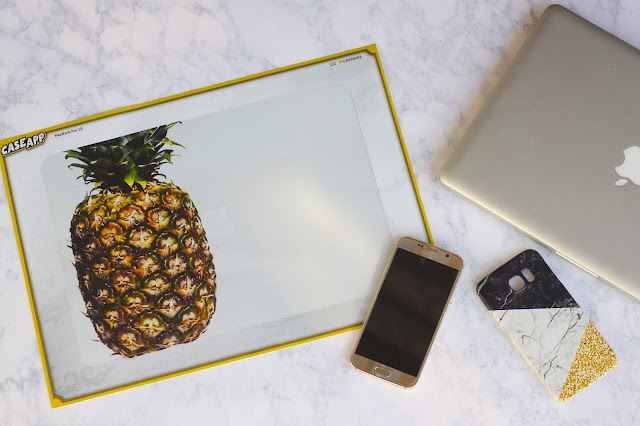 Here's what I chose: Black White Gold Samsung case and Ananas Comosus Macbook skin. The print quality is crisp and very true to their website photos and durability has been great over the last couple of weeks. Even if you are not lucky to win this great prize, I highly suggest you give CaseApp a try. To entice you even further, you can use MYBORROWED20 for 20% off all orders through February 28th! I received these items in exchange for an honest review and to share with my readers through the above giveaway. Oh my gosh!!! I am loving that macbook skin and your phone case! That is exactly the one that I was lusting over. Love that we got the same phone case haha. And the pineapple case is so cute! LOVE that phone case girl! so cute and goes with all! yay for discounts and giveaways! Love the ones you picked out! Caseapp has some great options! I ADORE the Happy Bikes one - That quote on that! I may have to go ahead & order it with that discount! I love Caseapp! 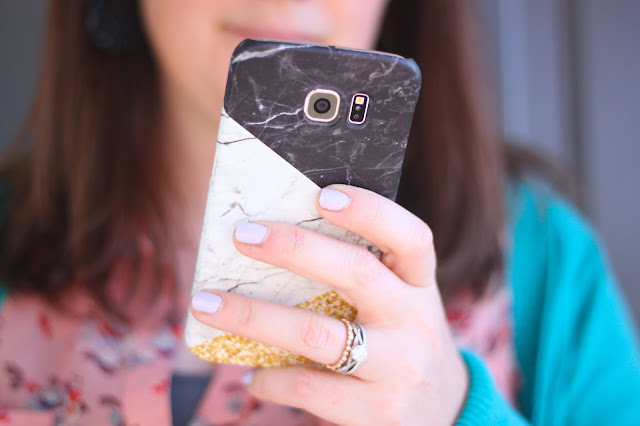 I currently have one of their cases on my iPhone right now, but I am loving any and everything marble these days. The cases you chose are perfection, love love love!! 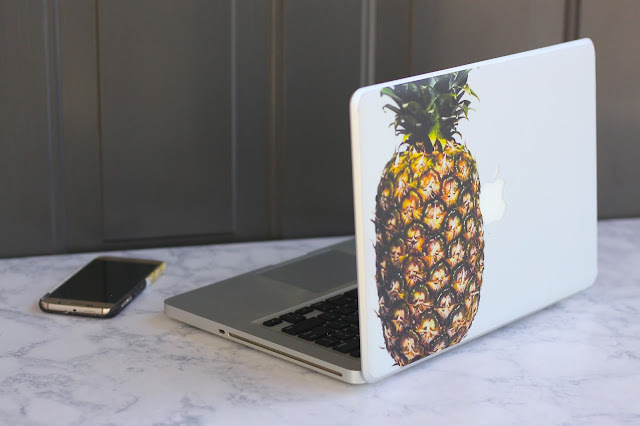 My Erin Condren has pineapples on it and that mac skin reminds me of it and would be such a cute matching piece! I like the pineapple skin you picked out. Very pretty! I like the Pineapple pattern case for the Samsung Galaxy S6. LOVE your phone case-- and the pineapple is so happy and fun! Love my CaseApp laptop skin - it just makes my computer so much prettier! I am loving the laptop skin! Super cute! I love the sailor stripes! !